"Imagine that the whole earth was covered with water, and that a man were to throw a yoke with a hole in it into the water. Blown by the wind, that yoke would drift north, south, east and west. Now suppose that once in a hundred years a blind turtle were to rise to the surface. What would be the chances of that turtle putting his head through the hole in the yoke as he rose to the surface once in a hundred years?" "It would be very unlikely, Lord." It truly is rare and special to be born a human being. If I ever feel down, these thoughts help me back up! Love your blog Teacher Dhammika! "Therefore, strive to realize the Four Noble Truths." 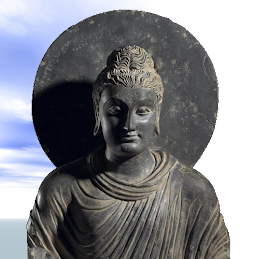 That is the essence of Buddhism, and that was what the Buddha feared to teach. 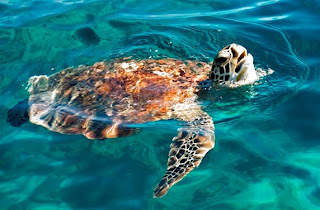 It is so simple, so uncomplicated, so profound but many turtles surfaced for air for thousands of years but still missed the hole. 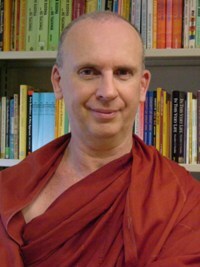 Hello Bhante. This is interesting but my very basic knowledge has left me slightly confused, as well. Perhaps there are very obvious explanations that I should already know, but I have heard a few times about the rarity of a human rebirth, but does this count for say, people who pass away while very advanced in Buddhism and close to enlightenment? Do they too wait for thousands if not hundreds-of-thousands of years to continue on the path to nibbana? Do quotes such as this only take into account those who have lived lives full of ignorance and craving? I feel this story has an additional meaning. As the modern astronomy shows the Universe does not teem with life. It is a rare combination of conditions where life can emerge, and yet more unique to allow it to develop and reach the stage of sentient beings. We should treasure that it's happened in our sansaric migration, and utilise the chance it offers for liberating. But once a human being we don't fall back to lower stages unless we do something awful with our lives. This shows how lucky we are in this lifetime, also with the Internet it should make it even easier to learn the Dhamma, just take effort but I am loving every moment of it. 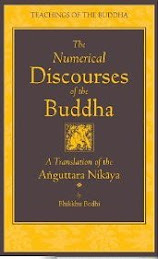 S.V,456 means page 456 of volume V of the Pali Text Society’s edition of the Samyutta Nikaya. 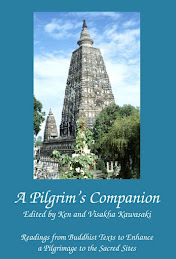 In Bhikkhu Bodhi’s new English translation you will find it on page 1871. 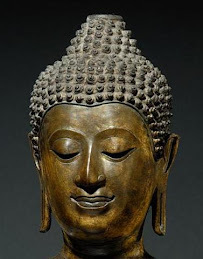 During a recent retreat...when i showed Preference to Ananpanasati than to vipassana , my asst.Teacher Told me that "This is the Buddha Sasana" Time period in which Buddha's teaching (Vipassana) is Prevalent so make use of it to the Best & Practise Vipassna. He mentioned that when the teaching starts to fade away ..the first to go will be Vippasana (Panna) ,then Ananapanasati (Concentration/Samadhi) then Sila, The next Budhha will be born only after many years after all the three have faded away. It has strenghtened my resolve. i have mailed it to my Frineds & Relatives.